Lowdown: A woman ends up on another woman's blind date. As romantic comedies go, there is much to like about Man Up. It's an OK comedy, it's got good actors, and most of all - it is relevant. However, I am rather pissed off with the movie, and it's all for a single reason: the credits go to Simon Pegg first when it is clearly the female counterpart who is in the lead for this movie. Lake Bell. 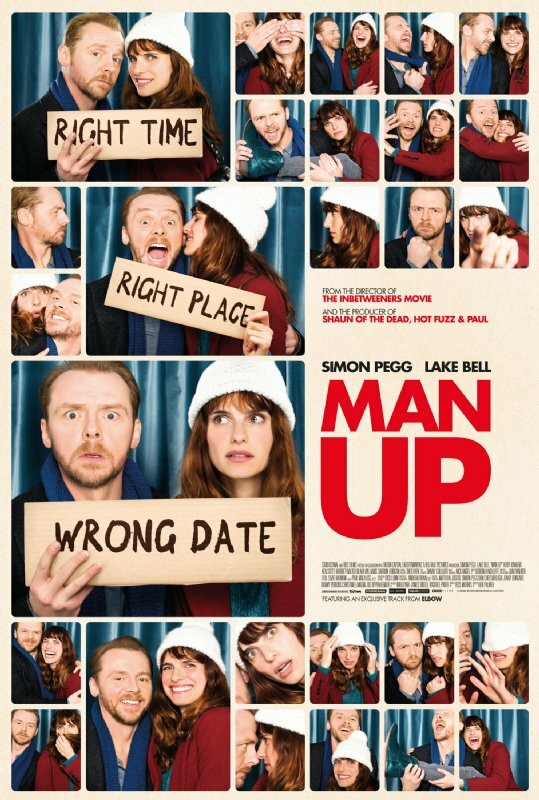 Plot wise, the idea behind Man Up is having a woman end up in another man's blind date. Through this and that, Bell's character, Nancy, happens to stand holding the right [wrong?] book in her hands so as to have Jack (Pegg) identify her as his blind date. Nancy follows along, being the "old witch" (34, if memory serves me well) in the room to Jack's 40. We follow the two over the night of their date to learn about the excess baggage in both bags. If there is any message that comes through, it is just how hard it is for two people to make a connection nowadays. Despite all of the technology in our hands, or perhaps because of it, it is hard to expose oneself to a potential partner and even harder to deal with all the complexities in that potential partner (and in oneself). Is it sheer luck when we actually do find such a person, like happening to hold the right book at the right place? Do we need to work on our expectations? Overall: A short, nice-ish romantic comedy. Nothing special, just 3 out of 5 crabs. But just to make it clear, Bell is the star of the show!